Drop was selected in the 1996 list of Japan's top waterfalls. Located at the end of the bus line in the southwest, it takes some time to visit, but it's worth it after a good rain shower! It's a popular destination among folks who arrive in Yakushima in the early afternoon and are planning to buy a multi-day bus pass, but have nothing on the agenda for the remainder of the first day. From the parking lot or bus stop, you walk up deeper into a steep gorge, where the waterfall fills the valley with a misty wind. The illusion that it's breathing makes for a spiritual experience at night. In the daytime, you can approach the water as close as you dare, but be aware that the rocks are slippery and every once in a while someone gets injured or even falls in. 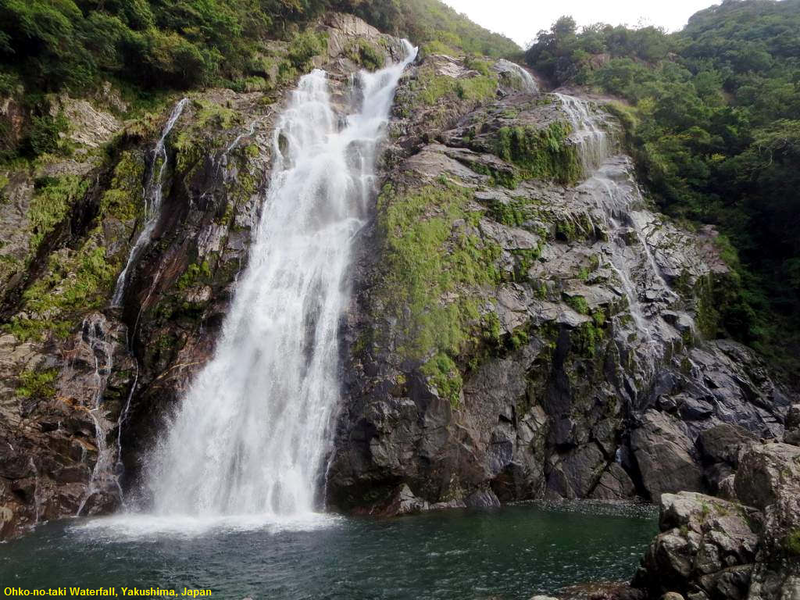 The grandeur fades during dry spells, but after typhoon-style heavy rains, the gorge fills up and the waterfall is unapproachable.